Manufacturing companies and businesses with warehouses and industrial buildings have unique flooring needs. Your industrial concrete floors have to be exceedingly durable to be able to withstand the type of wear, tear, chemical and heat exposure and other abuses that occur in those types of locations. Most flooring applications just aren’t tough enough to handle the demanding conditions of industrial and warehouse environments. Rather than dealing with ongoing replacement and repairing of your present flooring, why not let Dreamcoat Flooring solve your industrial flooring issues? The incredible durability of Dreamcoat Flooring’s commercial concrete flooring has made it a favorite among owners of manufacturing and chemical plants, warehousing facilities, and other businesses that require a hard-wearing surface. Our customers love the fact that our polyurea epoxy industrial floor coatings instantly make their concrete flooring safer, easier to clean and maintain, and resistant to damage caused by high heat or harsh chemicals. Plus, our Dreamcoat floor coatings are beautiful as well! What Are the Benefits of Epoxy Coatings in Industrial Applications? Boosting productivity and lowering costs – Our industrial epoxy flooring allows materials to be transported in-house much quicker, while reducing wear on forklifts and other transport vehicles, allowing factories and warehouses to potentially save money on equipment. Additionally, your new epoxy floor coating is cost-effective and will last many years. Upkeep is low, so you’ll save on maintenance costs as well. Quick application process – Your time is important, and down-time can affect your bottom line. Our industrial grade epoxy floor coatings can be installed within 48 hours, allowing your team to get back to work quickly. Improve safety levels – Our epoxy floor coatings can be fabricated to not only prevent slips and falls, but to provide impact, heat and fire resistance to help protect your employees and your property. Design possibilities – With Dreamcoat Flooring, we can work with you to create a custom design incorporating multiple colors to enhance your business branding or to designate specific work zones. Additionally, you can choose from a rainbow of color options and surface sheens to make your space aesthetically pleasing and functional. It’s the eco-friendly flooring option – Everyone wants to reduce their carbon footprint. At Dreamcoat Flooring, we’re looking out for our planet by providing a durable flooring material that is environmentally friendly. 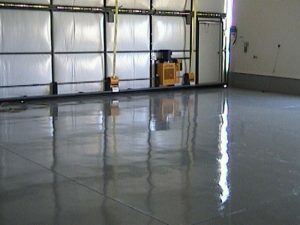 Enhance your warehouse, industrial building or manufacturing facility with a beautiful, custom epoxy concrete floor coating. Dreamcoat Flooring has been creating unique business flooring solutions for over 15 years, and we are proud of out 5-star customer rating. We are a licensed bonded Arizona contractor, and we stand behind our work by offering a limited lifetime warranty, 5 year limited commercial warranty on all our commercial flooring projects. Our warranty includes materials and workmanship. Our concrete flooring contractor specialist is standing by! 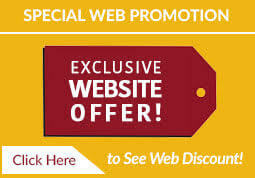 To get started, please call: 480-226-4172, or use our online form to request your receive your free design & quote for your commercial floor coatings project today!